Now that the cooling season is upon us, many Miami homeowners are turning on their AC. But quite a few of them don’t know how their air conditioning system works, which can make it hard to tell if their system needs repair. 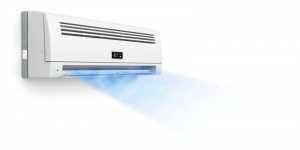 While it’s up to us to ensure that your system operates at its full capacity, informing new and current clients about the basic components of your air conditioning system is also part of our job at Air on Demand. The sooner you recognize a problem or lack of performance, the more opportunity our Miami air conditioning technicians have to fix that problem quickly. Lingering problems could turn into larger ones. When you need air conditioning repair, maintenance, or replacement, call Air on Demand. Refrigerant. Refrigerant is the chemical mixture that travels throughout the indoor and outdoor coil systems, passing through a condenser and an evaporator. When air passes over the coils, it is cooled and circulated throughout your home. While R-22 refrigerant is now being phased out for R-410A, which does not contain ozone-depleting chlorine. Compressor. This motorized pump pressurizes refrigerant, which allows it to change into liquid and gas at certain points in the cooling cycle. It runs on electricity, and in a split system is typically housed in the outdoor unit along with the condenser. Expansion valve. This device is located between your hot coils and cold coils, and it controls the rate of pressurized liquid refrigerant entering the evaporator. Thermostat. The thermostat is the user interface of the cooling system. It allows you to create a set point, which is your desired system temperature. It communicates this to the air conditioning system itself and adjusts airflow accordingly. If you need AC repair in Miami, call Air on Demand today!